The 16th Annual Cape Fear Blues Festival is being held in Wilmington, NC, from July 29 – July 31, 2011. This 3-day celebration of blues music will be held between the beautiful beaches of the Cape Fear Coast and the historic riverfront of downtown Wilmington, North Carolina. Events include a Blues Cruise on the Henrietta III, workshops, outdoor concert, live club shows, and an all-day blues jam. Looking for accommodations? 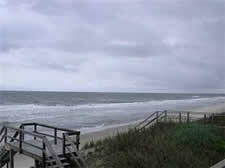 We have many North Carolina Vacation Rentals for you to select from for your stay here. Whether you’re coming for the festival or for your summer vacation we’d be happy to show you any properties you are interested in.